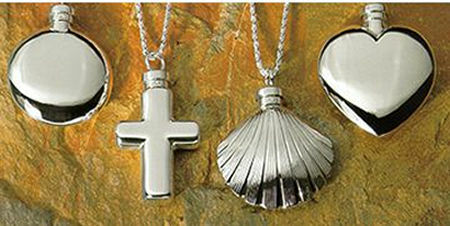 These quality material; 14 K Gold, Sterling Silver and Brass make up our pendant series. 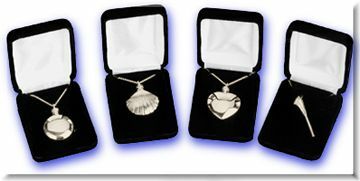 Each pendant comes with a 24" chain and all are presented in an attractive gift box. 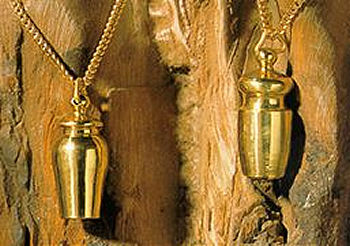 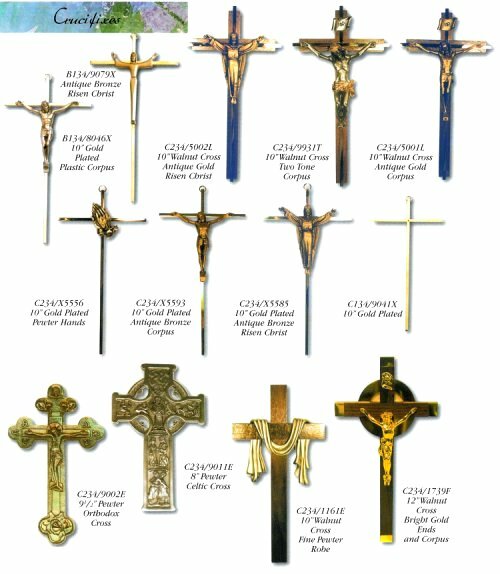 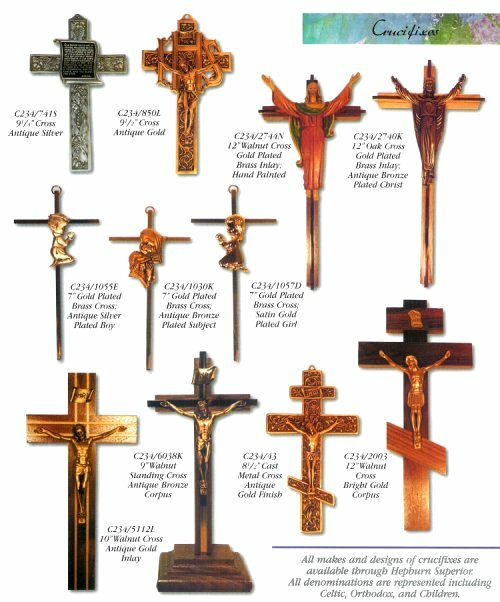 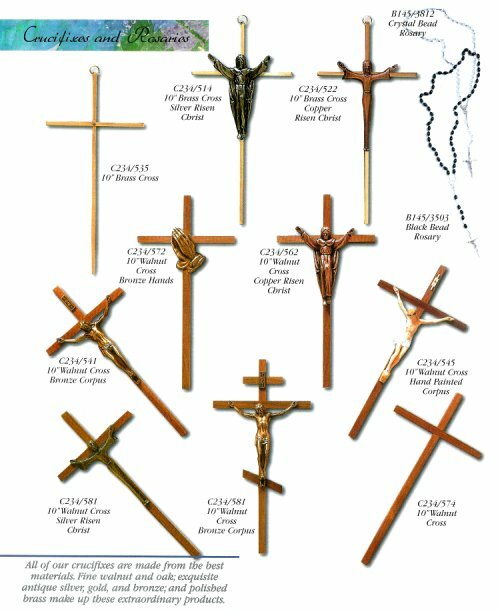 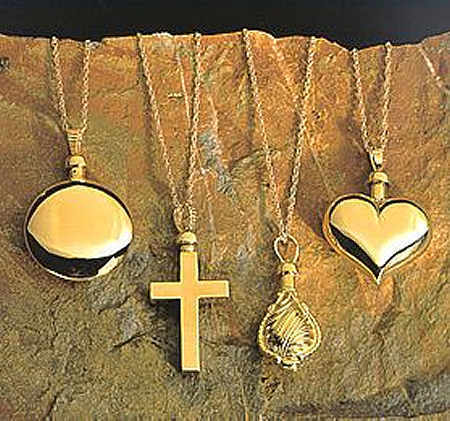 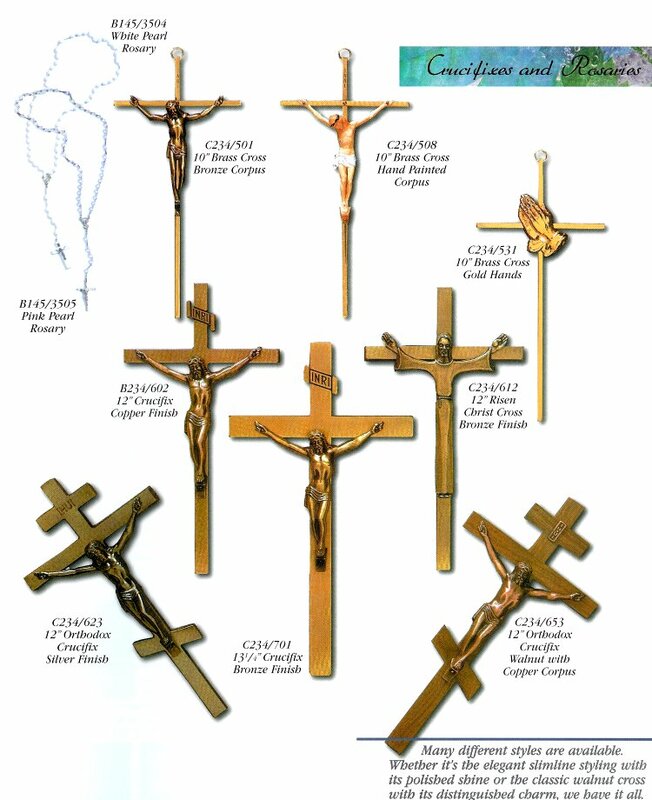 Each pendant can hold a very small portion of cremated remains or a lock of hair.